Premium Sandals with Traction? Yes Please! The Kickstarter for the world's first no-slip sandal is live. Rhea Footwear designs shoes combined with a unique technology. 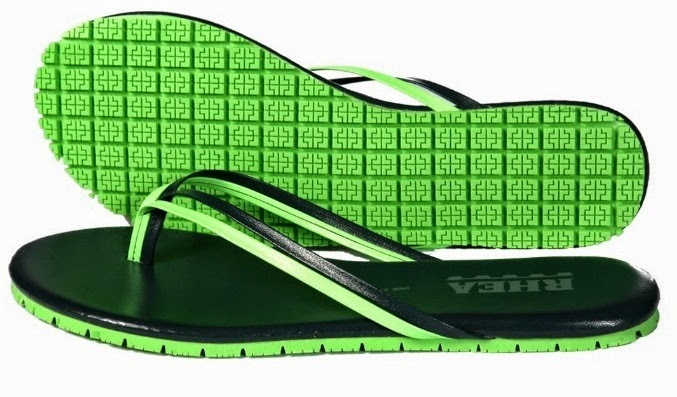 Los Angeles-based company Rhea Footwear is integrating its patented and highest-rated non-slip outsole technology with the sleekness of a sandal. Rhea is launching its sandal collections, because sandals are one of the leading types of footwear that cause slip and fall accidents around the pool, boats, showers, and many other places. The technology works by a combination of a patented microtread pattern and a special rubber compound. 1)The microtread pattern removes liquids by channeling them outside, providing maximum floor-to-outsole contact. 2)The key to this high traction is our special rubber compound, which grips the surface even stronger under slippery situations. By trimming the outsole, providing many vibrant outsole colors, and a beautiful overall design, anyone can wear it during this spring and summer and stay safe with our technology. By effectively cutting out the middlemen, Rhea is providing them at a special price on Kickstarter. Rhea Footwear launched its first Kickstarter campaign for its classic line last year and raised over $30,000 in 30 days. They now have experience in selling four million pairs of shoes per year through a related party. - Rhea Sandals are a "Kickstarter Staff Pick"